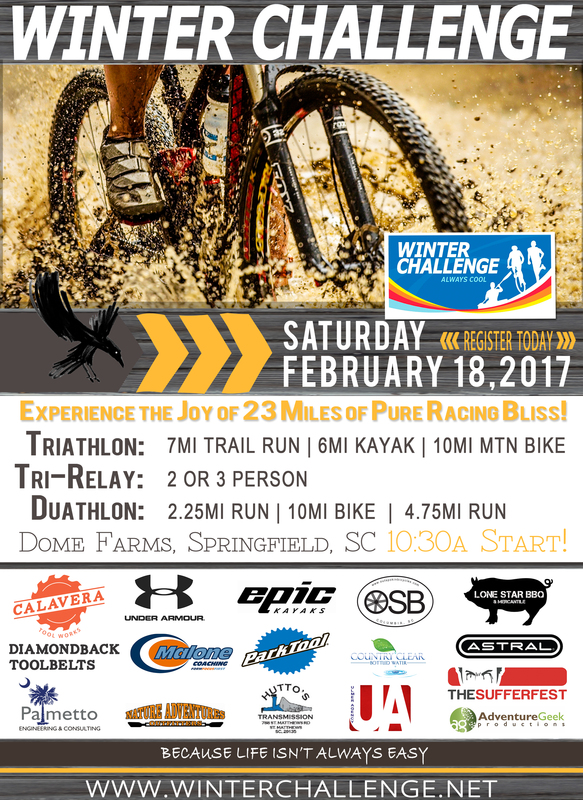 2017 Winter Challenge Flyer is ready to roll! Download, print and share the bliss! We have gotten a tremendous amount of support, both from longtime supporters of the race, and folks who have just signed up for the first time. If you've got the urge, you can help us spread the word too! Just download and print the flyer linked below, and post it at your local bike/run/kayak/tri store, workplace or gym. Even better, print a bunch and hand them out to friends who might want a little racing bliss of their own. Also, we've got plenty of printed posters, handouts, and stickers to go around, so if you know of an event or just some local shops that might help us spread the word, send us a note and we'll get a little WC care package on the way! And if you know of an upcoming event where we might be able to get some cool exposure, hit us with some details at thewinterchallenge@gmail.com. Thanks! Click the link below to download and print this year's flyer!